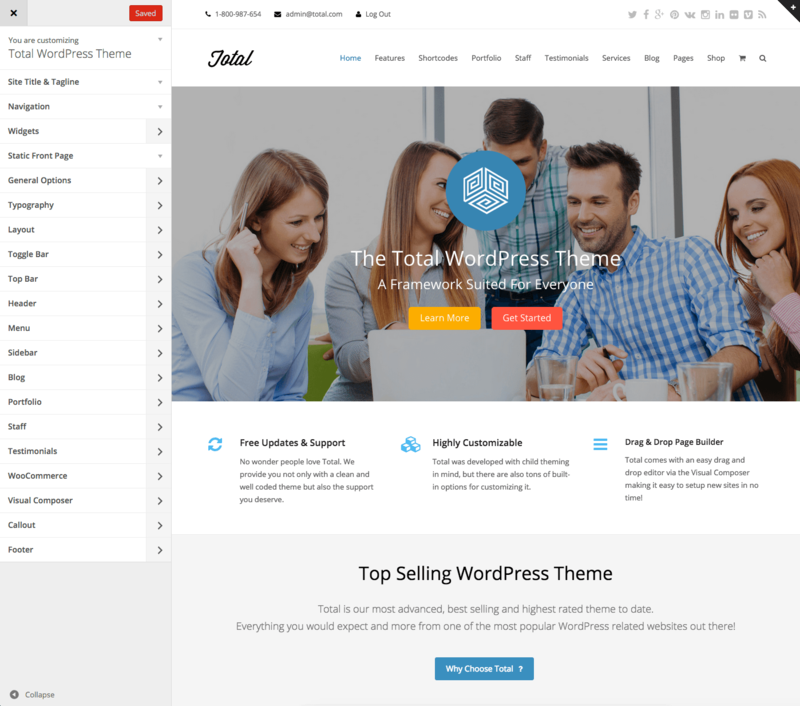 Total uses a custom extended version of the WordPress Theme Customizer to give you lots of easy to use options for your website. 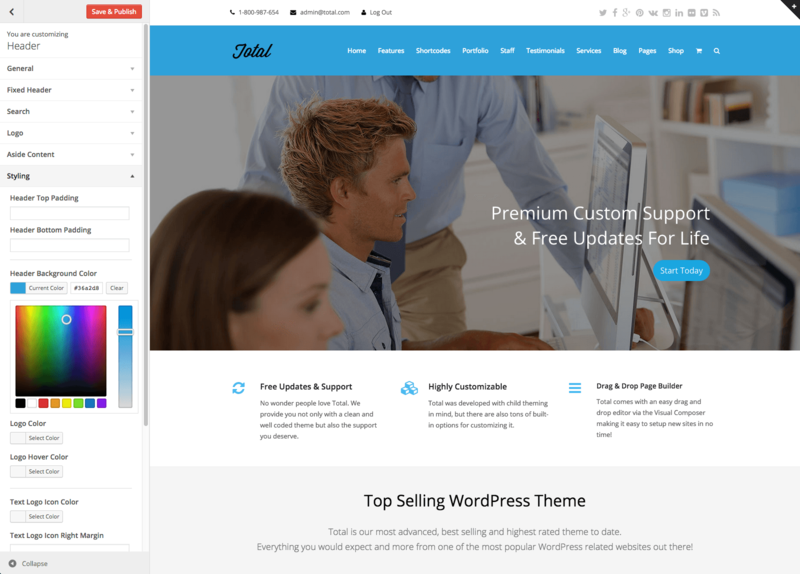 Simply navigate to your WordPress Dashboard, and under Appearance click on the Customize item. 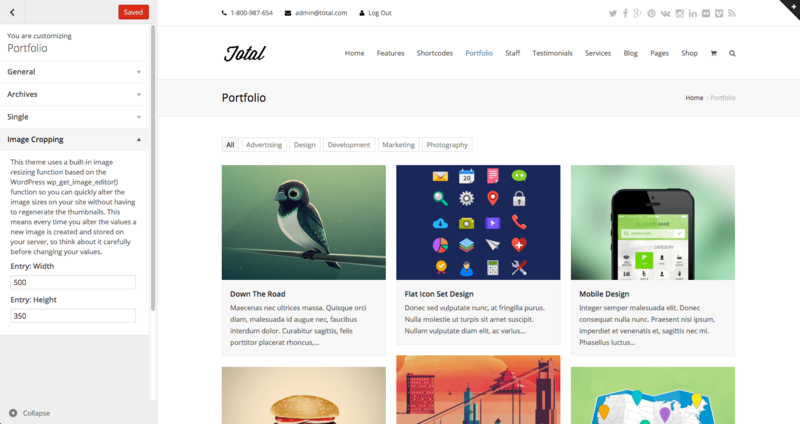 Some of the many options include custom logo upload, header style, custom typography, custom image cropping, built-in social sharing and more. Have a look at the screenshots below to see what else Total can do.